The mission of the Men’s Ministry is to lead men into a vital relationship with Christ and to assist them in their spiritual, personal and community development. Any man is welcome to join one or more of the activities listed below. We have two on-going Bible studies for men only. Both groups are open to new members. Come to a meeting and see it you want to continue. You can check the monthly newsletter, the Valley Voice, to read about current studies. 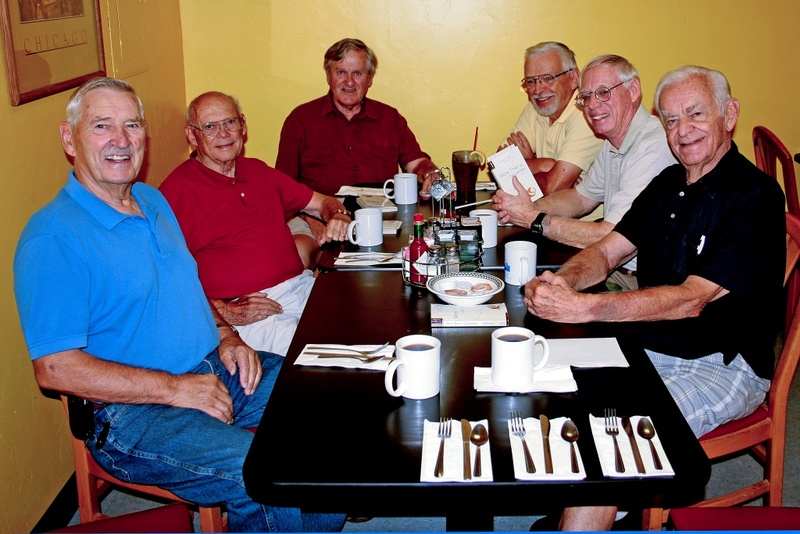 The ﬁrst group meets on Tuesday mornings at 7:45 a.m. A group of six to ten men meet in the media room of the Silver Springs Retirement Community for one hour. The group meets for fellowship, study, and an all-around lively discussion. The second group, with six to twelve men, meets Wednesday mornings at 9 a.m. in classroom 1 at VPC. This group meets for one hour in classroom 3. The group is facilitated by a leader but focuses on group discussion. Lessons are self‐contained so feel free to join the group at any time.